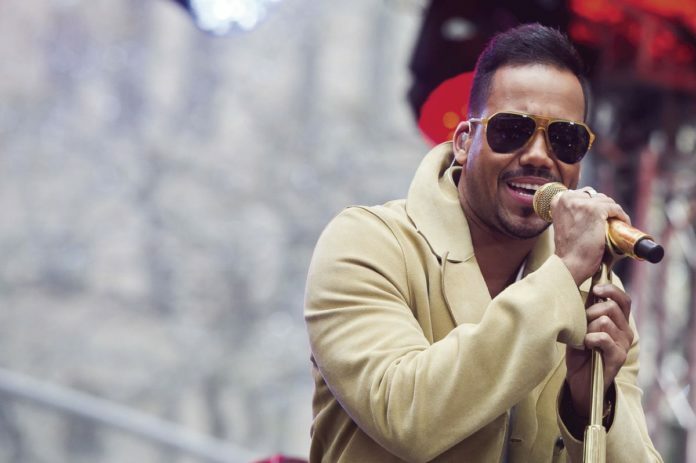 Romeo Santos performs on NBC's "Today" show on Monday, April 27, 2015 in New York. The King of Bachata will be the latest act to grace the stage of the Bert Ogden Arena Saturday, the third concert since the arena opened its doors late summer. Romeo Santos is visiting the Rio Grande Valley as part of the second leg of his Golden Tour, which kicked off in September and promotes his third album, “Golden,” which was released last summer. Marc Solis, the arena’s CEO, said Santos’ performance will be unlike anything fans have seen before. Santos last visited the Valley in 2015, and Solis said he was eager to bring the Bronx-born Dominican-Puerto Rican singer back. “He is a world-class performer and he has a great catalogue of music that resonates with a lot of people in our community and the show is just an amazing production,” Solis said. Santos got his musical start two decades ago as the lead singer of the American bachata band Aventura. He broke off on his own in 2011 and has since released three solo albums. In 2014, he made history by becoming the first Latin artist to headline two back-to-back sold-out shows at New York’s Yankee Stadium, which seats more than 50,000. In July 2017, “Imitadora,” the second single released off Golden knocked Luis Fonsi and Daddy Yankee’s “Despacito” from the number one spot on the Billboard Latin Airplay chart and this past April, “Golden” won the Billboard Latin Music Awards’ Tropical Album of the Year. The 18-track album features collaborations with Juan Luis Guerra, Nicky Jam and Daddy Yankee, Ozuna and Julio Iglesias. Saturday’s show begins at 8 p.m. and tickets start at $39.50. The King of Bachata, a multiplatinum singer-songwriter, will perform live.